Can railways and motorways be called green infrastructure? The word “green” is used increasingly frequently in the urban context, especially to describe various forms and structures. While we’re all familiar with greenery in the form of parks, playgrounds, squares and urban gardens, we’re now seeing more and more green roofs, walls and vertical farms, too – especially in built-up spaces. The main reason we are losing our green surfaces is the ever-growing need for housing, stores, businesses and manufacturing facilities. The second reason is transportation infrastructure. While our green surfaces slowly disappear and are replaced by buildings, green solutions are already playing a big role in bringing biodiversity to the cities. Now the idea of green transportation infrastructure is starting to spread through the urban dictionary as well. What to do with all the space between railway or tram tracks, along roadsides and highway belts? It used to seem that the easiest thing to do was just to make them grey. But think again – if we build up the land with concrete, why not simply leave the greenery where it is, where it could still provide us with all the benefits. What is green transportation infrastructure? Providing multiple functions and benefits that have not only an environmental component, but social and economic components as well, makes the scheme part of the larger green infrastructure concept that is now being included in increasingly more EU policies. One part of the solution / concept is educating people about green urban infrastructure, why it matters and, and how it helps improve our living environments. While a lot of people think it is complicated and expensive to restore existing infrastructure back to green infrastructure, it is actually not. 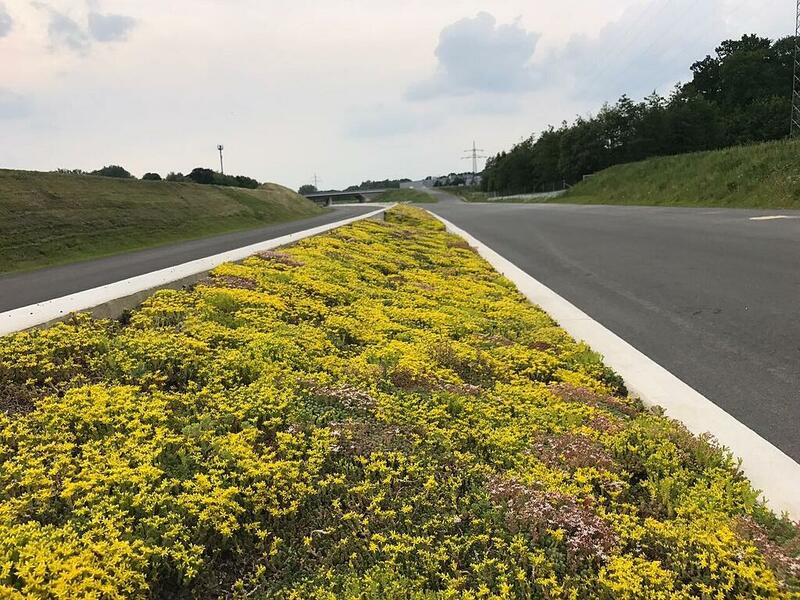 This can be achieved with low maintenance green track systems that help enhance emission protection characteristics, are easy to install and are less expensive than conventional grey infrastructure. 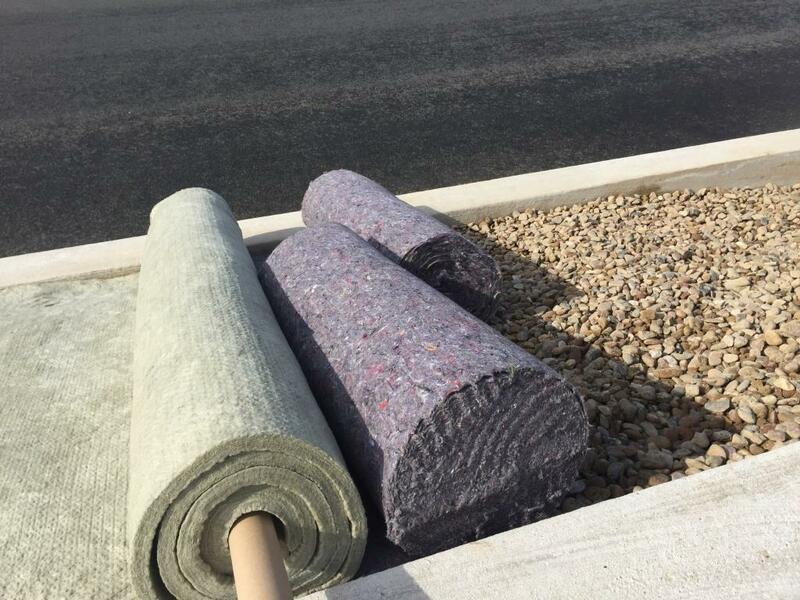 At Urbanscape, we think a lot about a greener future, and therefore offer special green infrastructure solutions called Green Designs on the Move™. At Urbanscape, we customise each design to specific projects and specific climate zones. 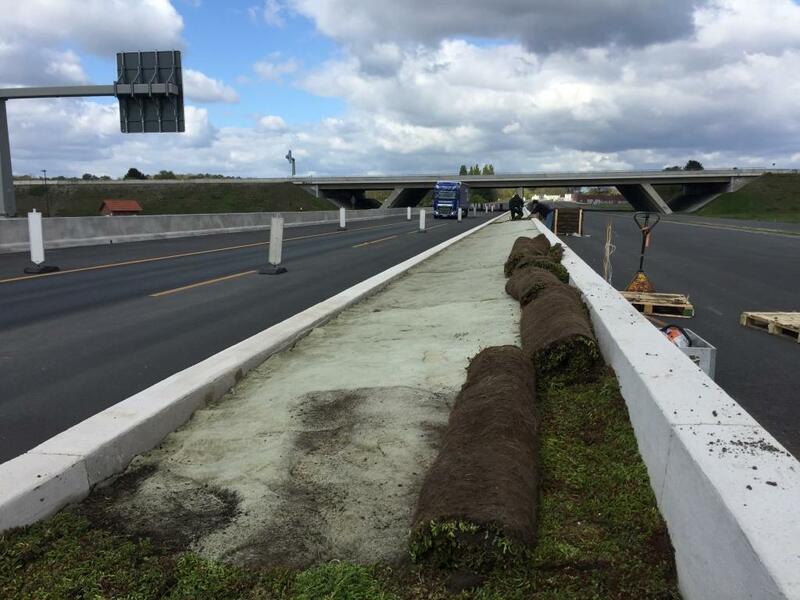 For example, in cooperation with project owner Internationale Geotextil GmbH (Germany) and supplier of sedum mats Sempergreen (Holland), a green belt 9 km long between two highway tracks on A33 motorway close to Bielefeld in Germany was installed. Here the green belt is raised so that the salt doesn’t reach the plants and destroy them. Phase 3: Green belt, 9 km long, finished. 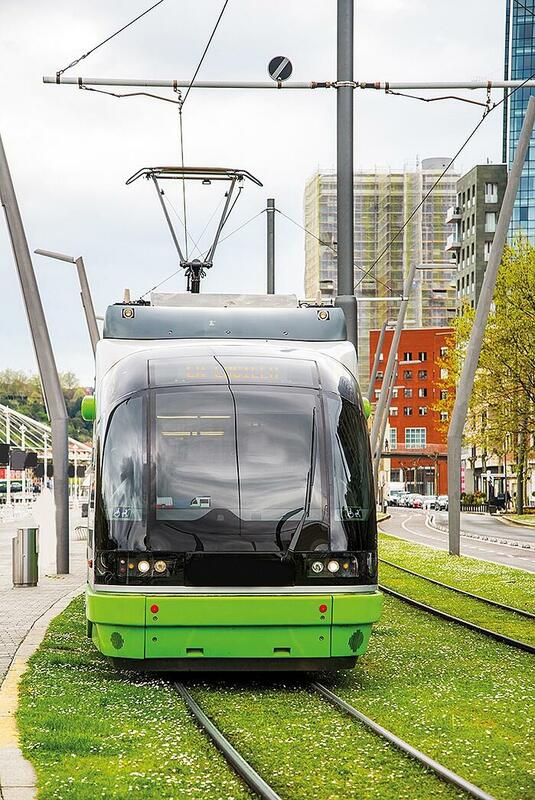 To learn more, check our website, contact us at urbanscape@knaufinsulation.com or simply download some of our conceptual CAD Designs for Highways and Trams / Railways below.